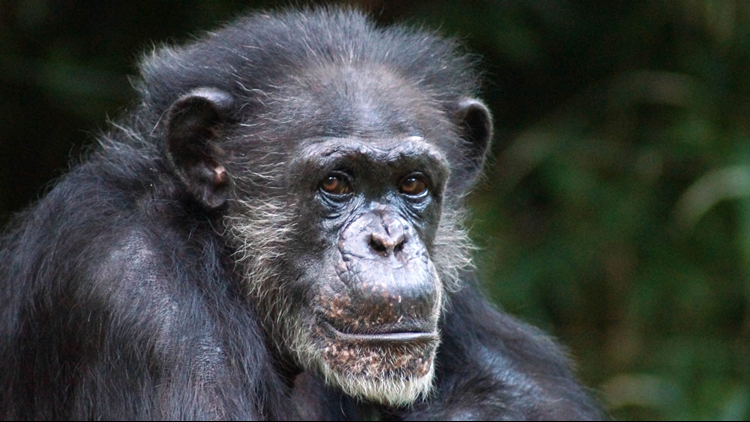 ASHEBORO, N.C. — The North Carolina Zoo says its alpha female chimpanzee, Maggie, has died at the age of 46. Maggie was euthanized on Friday, April 12, after a period of declining health. Zoo officials say she lived a full life for her species -- female chimpanzees typically living for about 40 years. Maggie was one of the Zoo's longest residents. With her death, all the member's of the Zoo's original chimp troop that opened the habitat in 1980 are now gone. She was the dominant female of the troop for more than 35 years. The Zoo’s troop now consists of 15 chimpanzees—9 females—Amy, Ebi, Gari, Genie, Gerre, Gigi, Nori, Ruby and Tammy, and six males—Gus, Kendall, Jonathan, Lance, Sokoto and an infant boy.